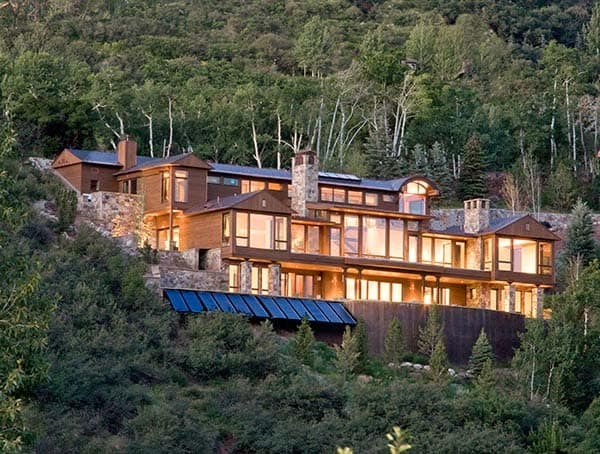 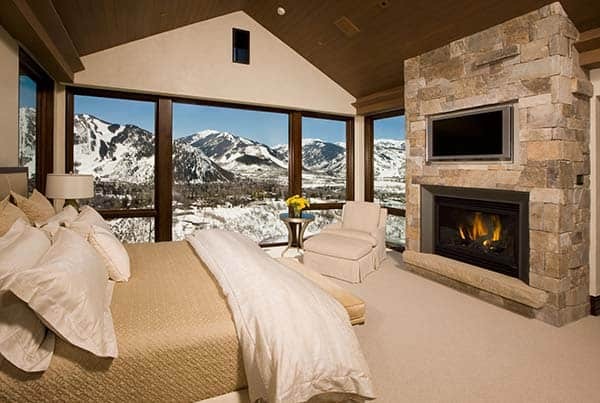 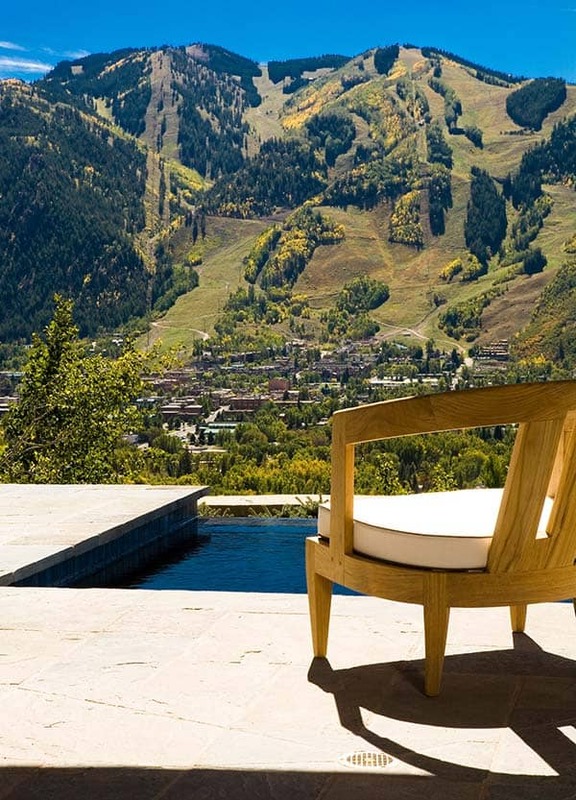 Built on the side of rugged Red Mountain, this contemporary mountain dwelling was designed by Charles Cunniffe Architects, located in Aspen, Colorado. 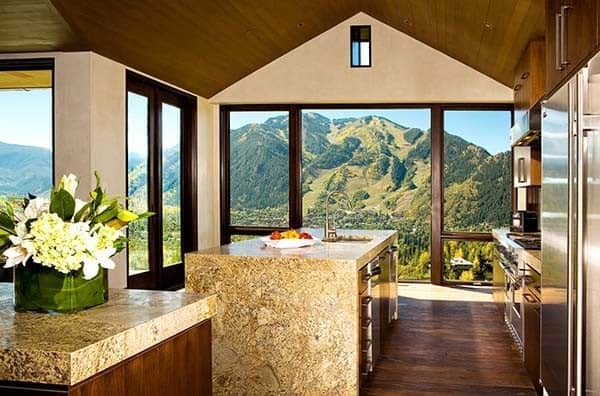 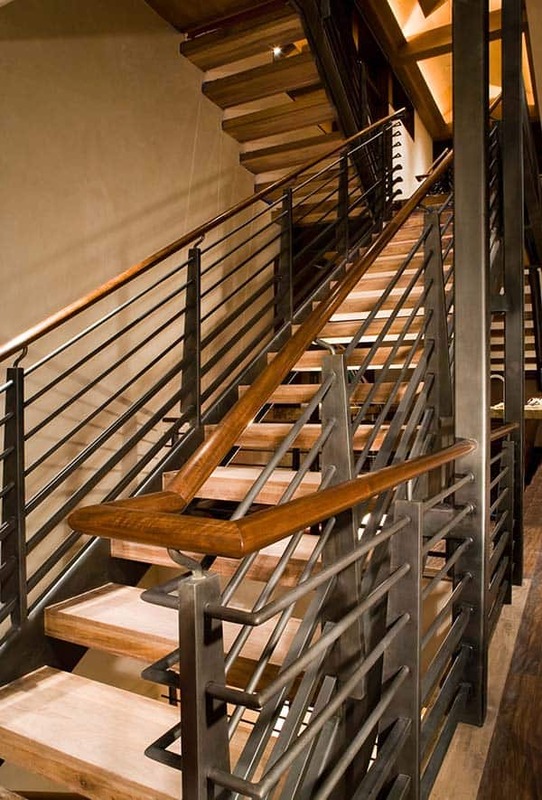 This beautiful architectural vision enters you through a marvelous glass entryway, offering a sense of the surrounding mountain views before even descending a steel and walnut staircase to the main level. 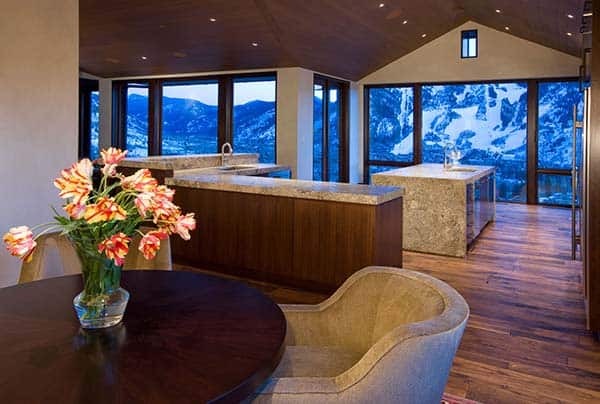 Comprised of 10,000 square feet of sumptuous living space, the main level was designed to accommodate the homeowner’s lifestyle needs. 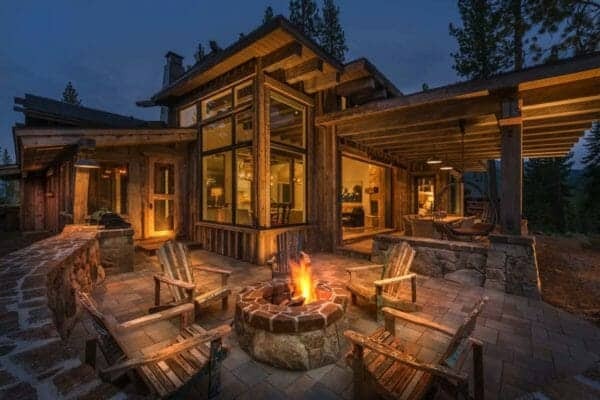 When they are not entertaining family and friends, this level takes into consideration the owner’s residing in the home by themselves, by programming the great room, kitchen and master suite on one level. 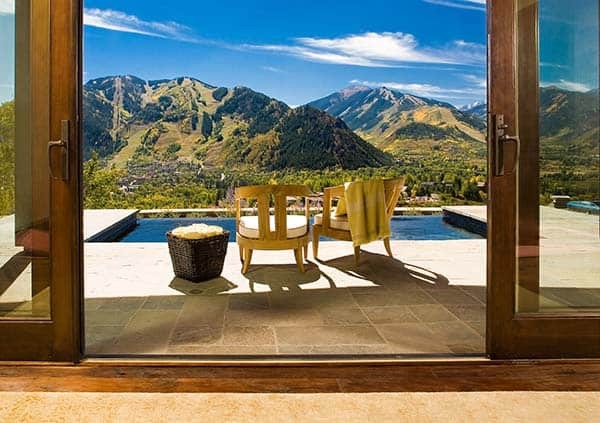 The level below houses the guest-related spaces of the residence, including a family room with a walk-out patio, splash pool and hot tub, guest bedroom en-suites and a home office. 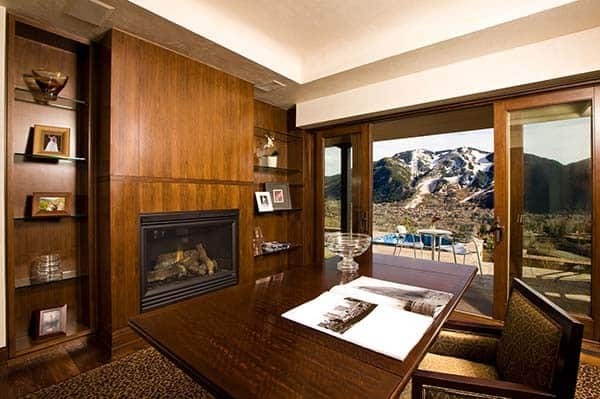 Stepping down the mountainside, the lowest level features the entertainment spaces, including additional guest suites, a gym, home theater and game room. 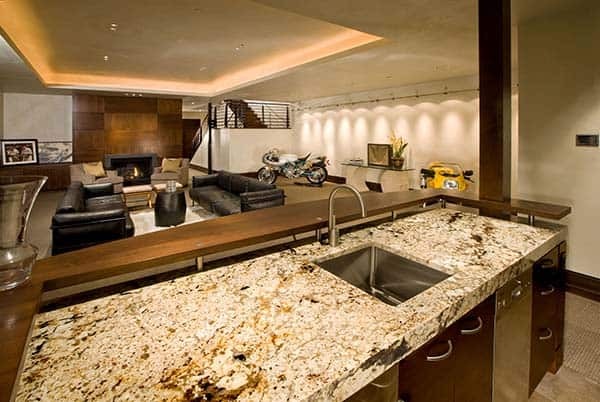 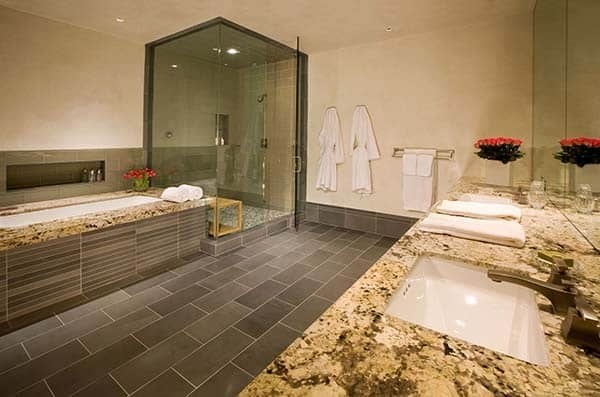 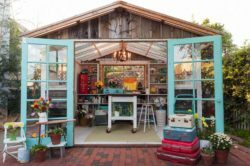 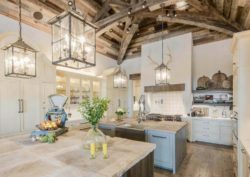 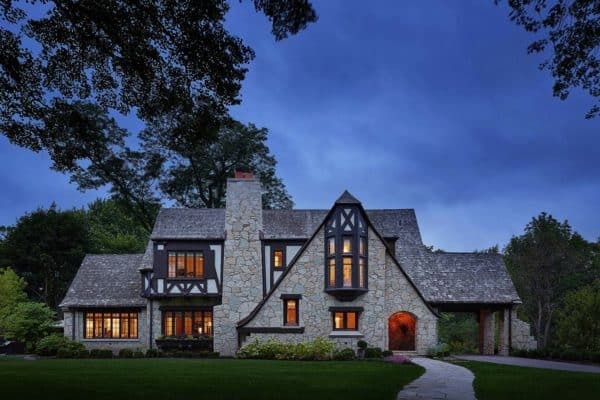 Since Aspen, Colorado is renowned for its elaborate entertaining, the garage, front entryway and mudroom spaces were designed to take into consideration valet, catering and staffing. 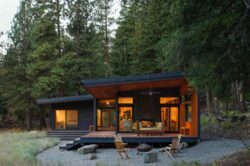 Sustainable design features are prevalent in this fascinating home, including automatic shades, solar collectors and a highly efficient HVAC system. 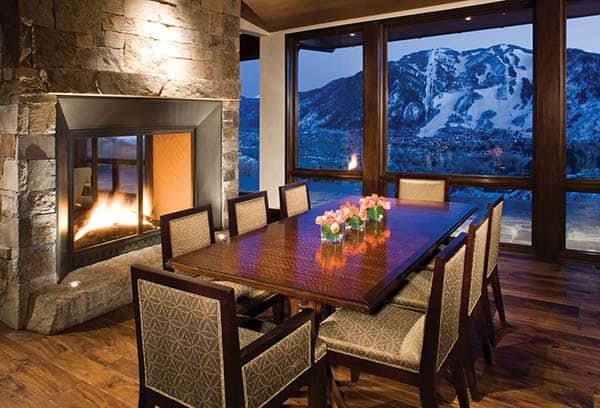 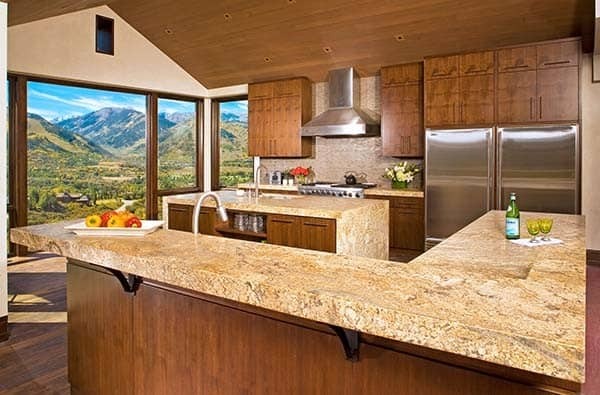 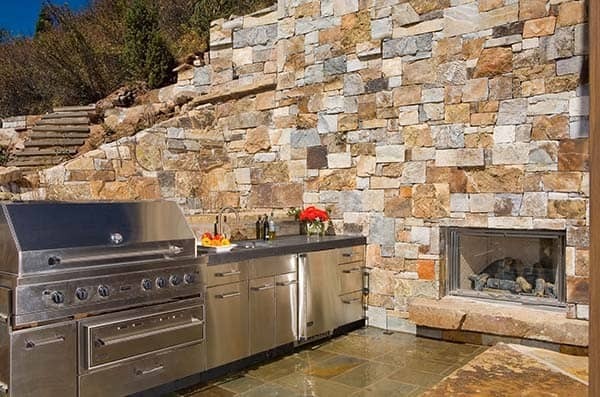 Carefully selected materials, finishes, lighting, furnishings and decor creates a lavish mountainside dwelling. 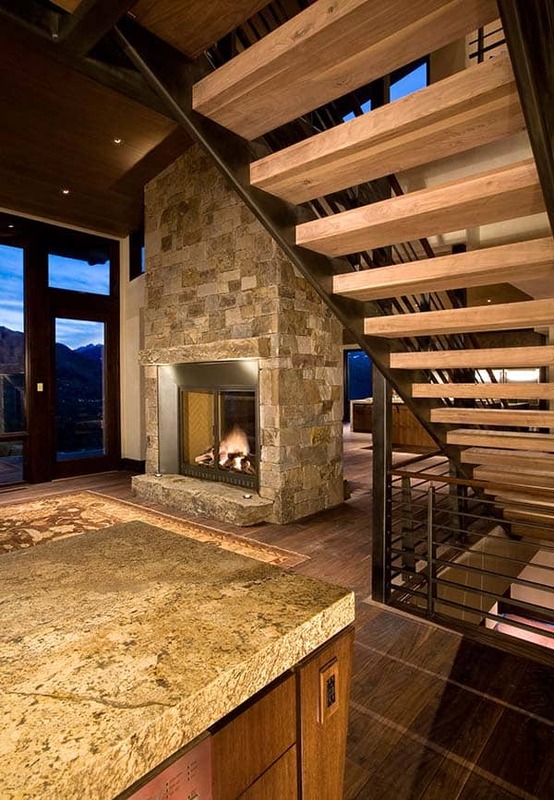 What We Love: The staircase on either side of this living room in the photo above for starters; it creates a very dramatic statement. 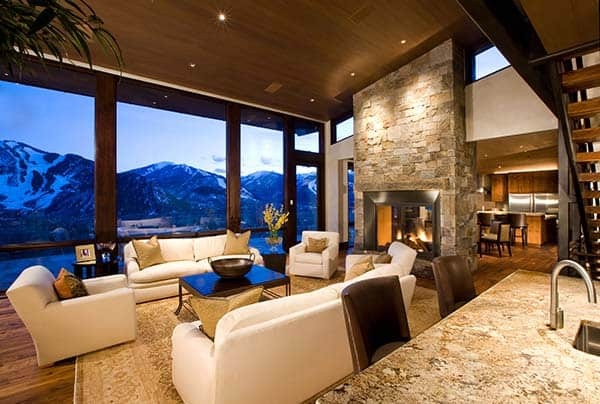 The color palette is very soothing and the floor-to-ceiling stone clad fireplace along with the expansive windows framing snow topped mountains makes this home an entertainers delight!